Ludlow Swimming club is happy to comply with the policy of Ludlow Leisure Centre of no photography during Public Sessions or when other classes are running at the same time as training sessions of Ludlow Swimming Club. 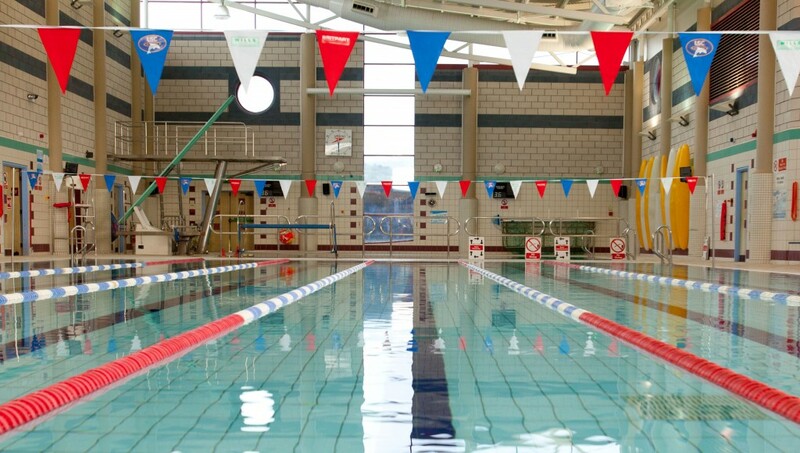 Our Policy only refers to sessions where Ludlow Swimming Club has sole use of the pool either for training sessions or galas. This policy applies to all photographs taken on film or digital camera (including mobile phones) and all sorts of moving pictures including video recordings and video streaming. The terms “child” or “children” include anyone under the age of 18 years. Whilst the great majority of images are appropriate and are taken in good faith, it is a fact that images can be misused and children can be put at risk if common-sense procedures are not observed. These procedures are set out below and taken from the ASA good practice guidance as detailed in Wavepower. First, as in matters concerned with the safeguarding of children LSC, in line with ASA policy aims to establish and develop good practice. b. The possible identification of a child when an image is accompanied by significant personal information, which ca lead to the child being groomed. 1. The publishing of a photographer or swimmer under 18 either on a notice board or in a published article or video recording (including video streaming) of swimming competitions (Publications) should only be done with parents’ consent. 2. A parent or guardian has a right to have children photographed. The exercise of this right of refusal will not be used as grounds for refusing entry into a swimming competition. Therefore any photo that may go to press or on a notice board, be it through a member of the club or official photographer, should have a received parental consent before publishing/displaying the photo, preferably in writing. The attached form should be completed when swimmers join the club. 3. Once a parent has signed the club’s Photography Book Register we are happy for them to take photos on the belief that their swimmer is the main subject of the photograph. Other competitors nearby may be included in the shot but should not be the main subject of the photo. However, another person can object to a parent/carer taking a photo if they believe their child, not the child of the photographer, to be the main subject of the photo. Please note at Ludlow Leisure Centre you need to obtain consent from the Centre to take photographs on site. 4. In the case of open meets and other competitions where the host club has an official photographer present, all parents attending should be made aware of this in your meet details. If photos are to be published anywhere, the individual parent should be given the opportunity to withhold consent. Their right to do so should be specifically drawn to their attention. LSC do not wish to stop parents photographing their children if they wish at their moments of glory but we have to ensure that we do all we can to safeguard children’s well-being in the current climate of concern. Focus on the activity rather that the individual child. Include groups of children rather than individual if possible. Photographers should be invited to apply for inclusion in the ASA list of designated children’s photographers, explaining to them that they will be screened and trained by the ASA on safeguarding children matters before they are placed on the list. Clubs should screen applicants for their suitability (just as they would check any other member of staff or volunteer working with children) and then provide training for them in the club’s Safeguarding Children policies and procedures. The official photographer (whether a professional photographer or member of the club staff) should receive clear instructions, preferably in writing, from the club at an early stage. Clubs should provide them with a copy of this policy and a clear brief about what is appropriate in terms of content – images should not be allowed to be taken outside the activity being covered. Clubs should determine who will hold the images recorded and what is to be done with them. The videoing of children during club sessions is not recommended. Any videos that are taken would have to be justifies by the club as to why this video has been made, e.g. to assist in swimming stroke development). Any concern and videoing should cease and the video not used. Mobile phones should be registered as a camera if it is to be used in that capacity in line with our policy. LSC does not support the banning of phones as children need them to keep in touch with parents, particularly in emergencies. Please remember that any photos taken should fall with our guidelines and that if mobile phones are taken into changing rooms, the facility to take photos must not be used. The posting of Photographs with or without names of children on the Club Website. We do not post individualised photographs on our website or use in any printed materials. Neither do we use identifying names as this could lead to a child being approached and placed in a vulnerable position. The only exception to this policy is where the child’s parent or carer provide specific written consent to the club publishing photographs. This consent may be withdrawn at any time and LSC will take all reasonable steps to respect the wishes of the parent/carer.